Jaw crushers by SIEBTECHNIK TEMA. 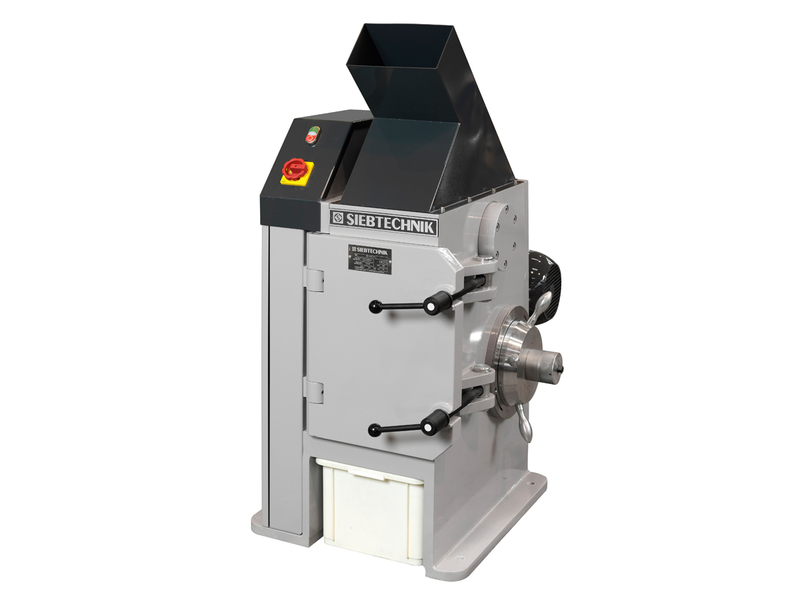 Crushing & milling equipment. 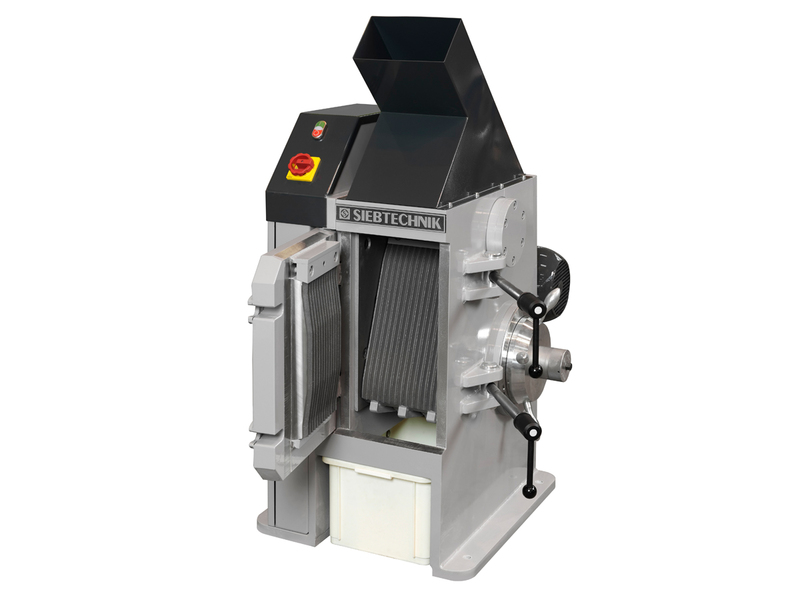 Jaw crushers are used for coarse grinding brittle, medium-hard to hard materials up to a Mohs’ hardness of approx. 8.5. Here reduction ratios of up to 1:100 are possible depending on the actual model concerned. 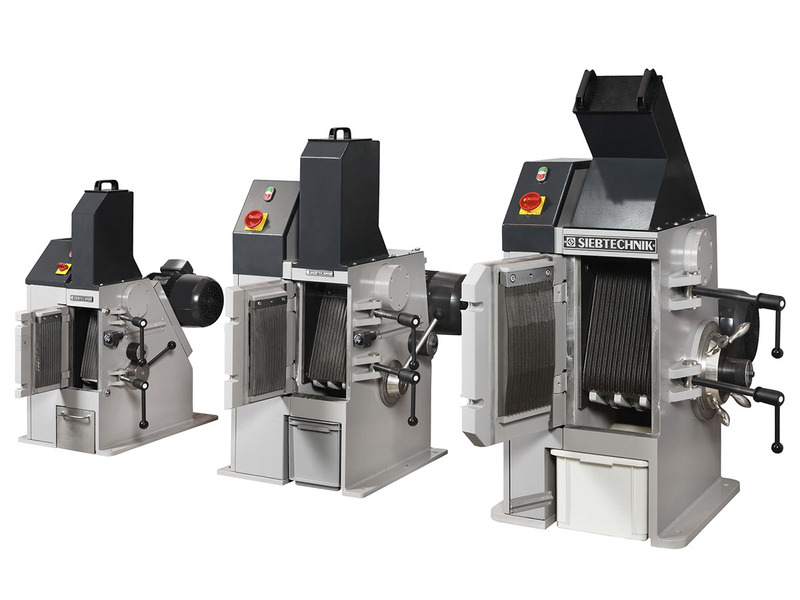 The crushing jaws are executed by us in two versions: In a laboratory model with integrated control system, feeding funnel and collecting tank, and a version for installation in plants. Omitted from this latter version are the feeding funnel, collecting tank and the control system. 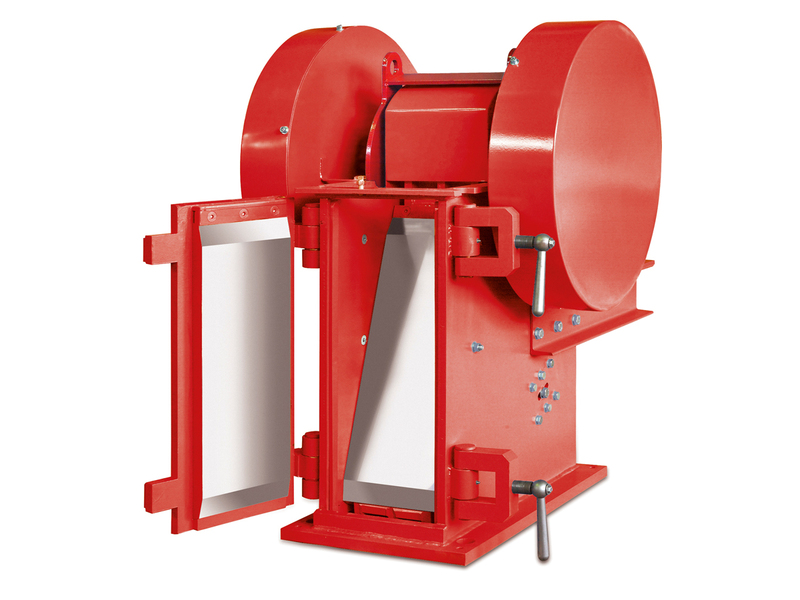 Comminution in the jaw crusher takes place in a wedge-shaped crushing chamber between a fixed and flexible crushing jaw. In the upper suspension, the flexible crushing jaw is driven via an eccentric shaft and supported underneath by an infinitely lockable eccentric shaft. 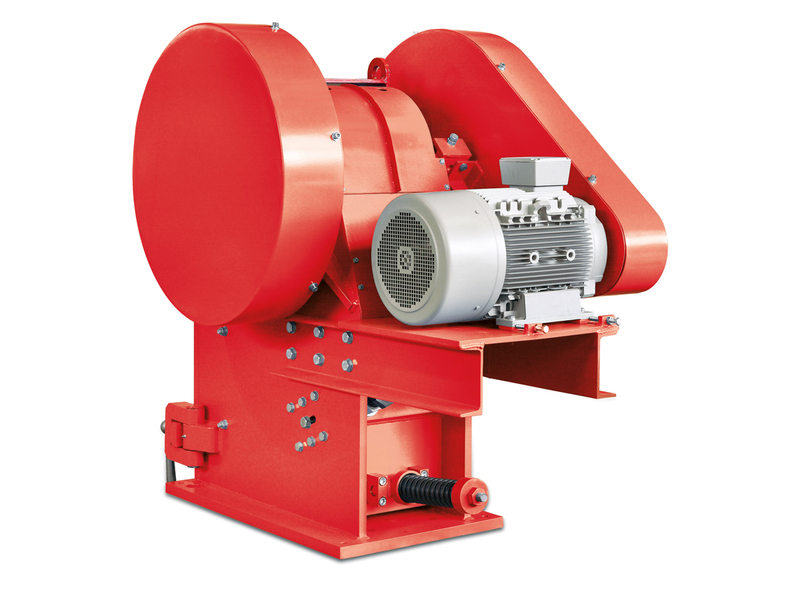 This special geometry enables the crushing jaw to execute an elliptically rotary movement, both in the upper suspension, as well as at the discharge opening. 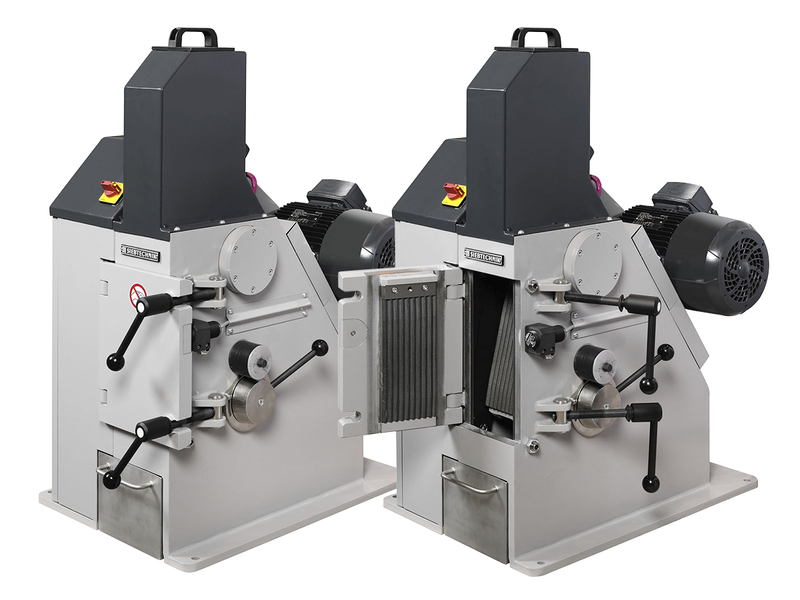 As an upshot of this sequence of movements, the crushing chamber is reduced in size with each rotation, which leads to material comminution, but enlarged as well, so that the material is loosened up and can slide down. 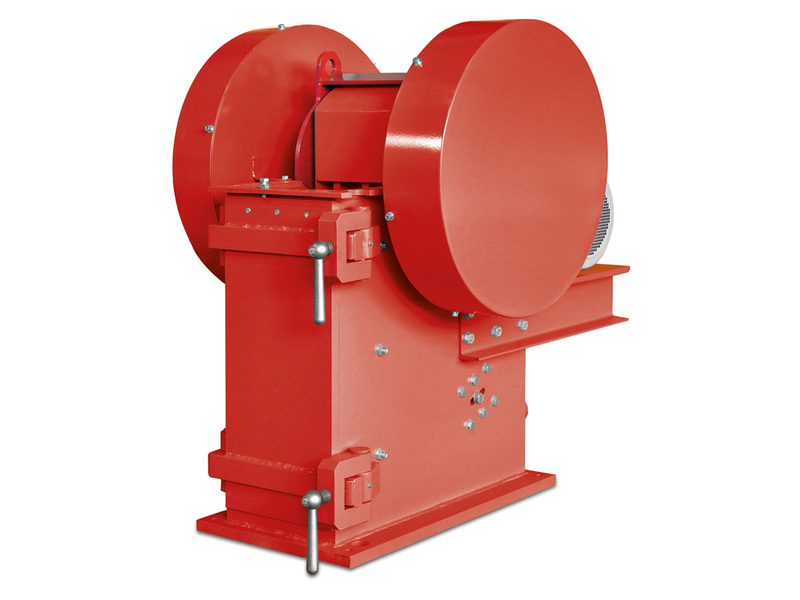 The crushing chamber’s wedge shape and the lift specified by the eccentric shaft facilitate the material sliding deeper down into the crushing chamber with each rotation until it can be crushed to conform to the opening set. 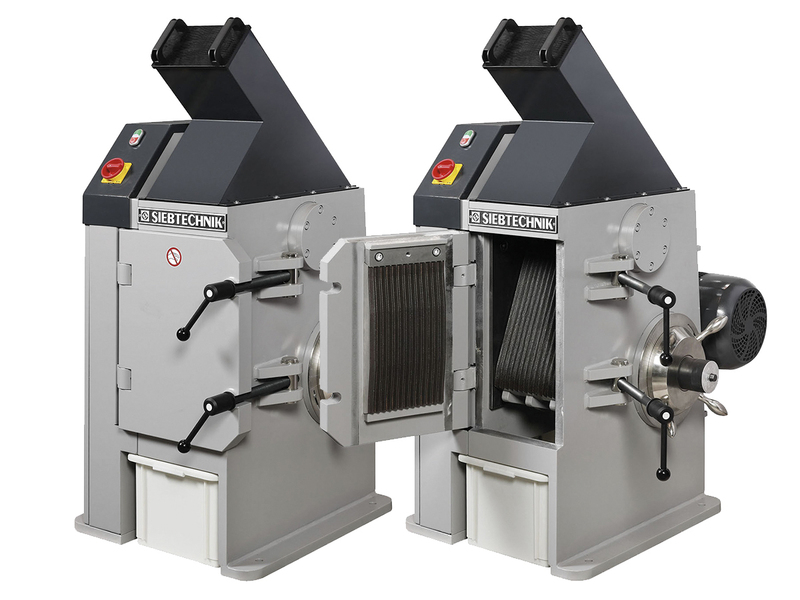 At the same time, the set-up of the flexible crushing jaw makes a high throughput rate and high attainable fineness of the finished product possible, while this set-up – apart from the design – is dependent on the size of the discharge opening set on the crusher and the size reduction behaviour of the crushed material. 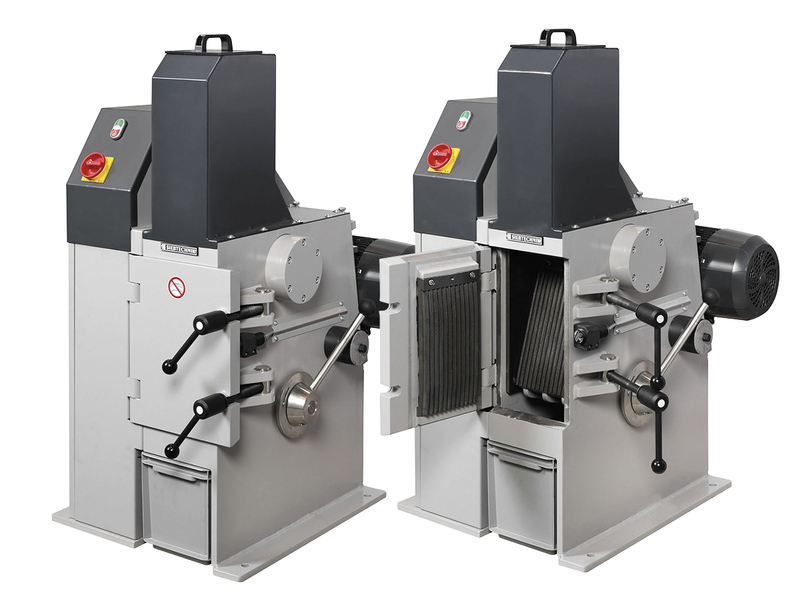 The throughput is dependent on the size of the discharge opening and the size reduction behaviour of the crushed material. Fineness is decisively determined by the discharge opening set. Subject to technical changes. 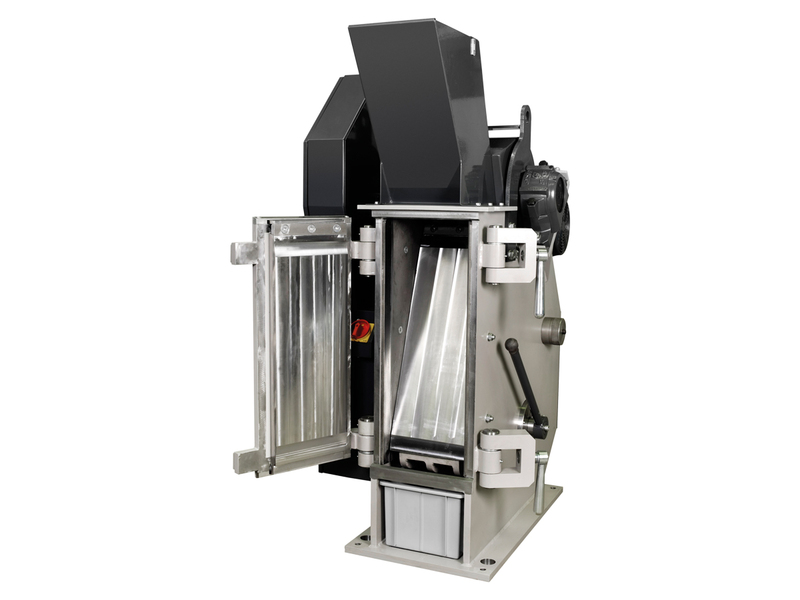 Fixed crushing jaw designed as a door, so that this door can be opened without tools, and fast and easily controllable cleaning of the crushing chamber is possible. 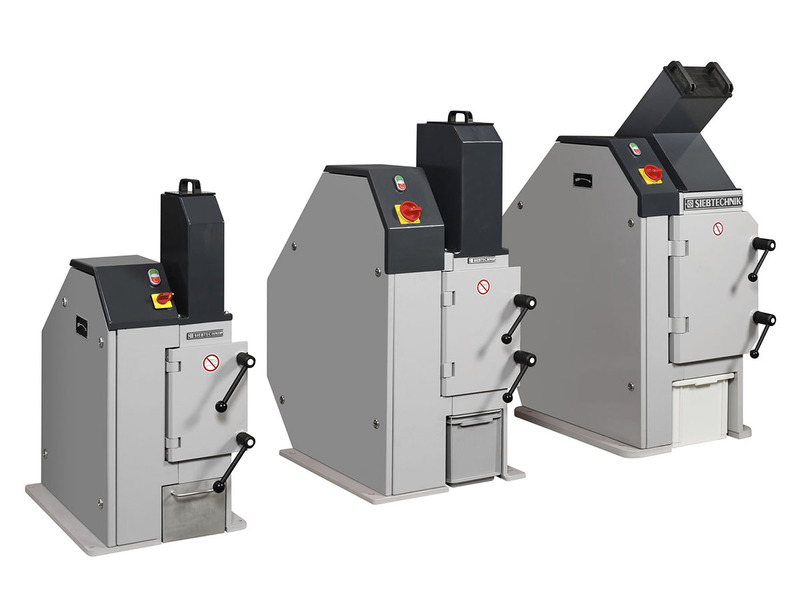 Reduction ratios of 1:100 and more, with fineness of the finished products of d85 < 2 mm, are possible depending on the particular type concerned. 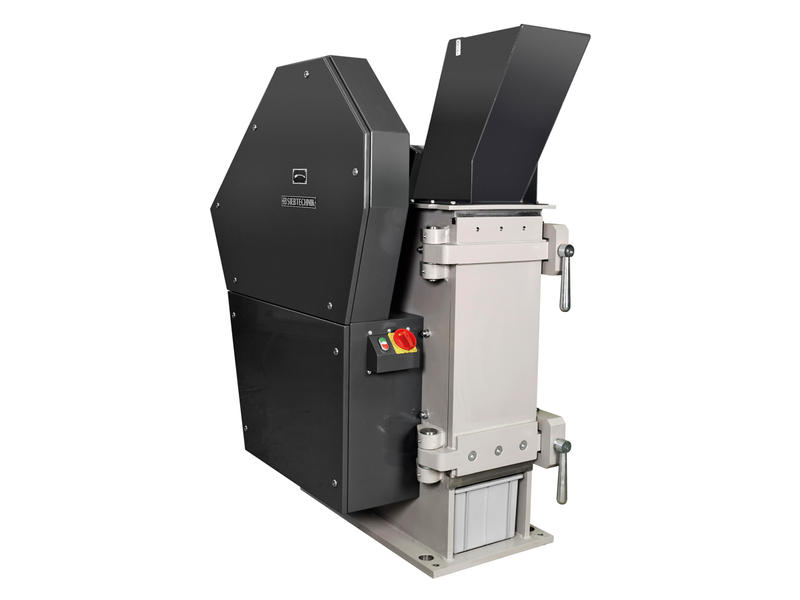 The infinitely variable crushing opening can be easily read off the scale attached to the housing and facilitates zero setting depending on the wear of the crushing jaws. 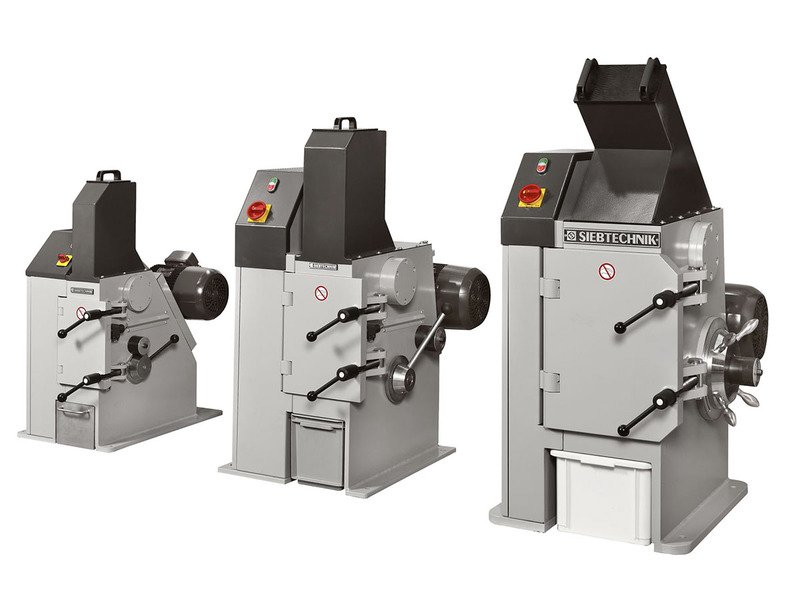 Crushing jaws that can be turned through 180°, enabling further utilisation in the principal wear area of the smallest opening, and thus almost halving the costs of parts subject to wear. 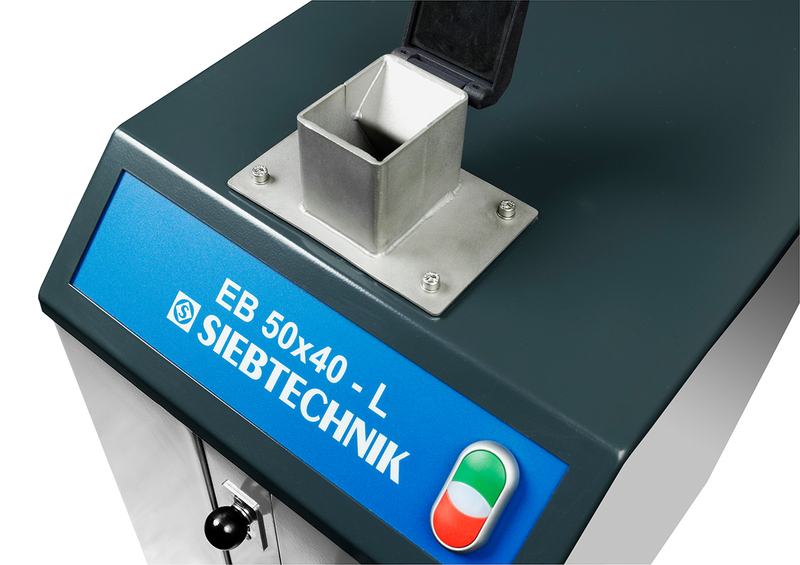 Product contamination is reduced by sealed bearings lubricated for life for Types EB 50×40 to EB 200×125. Tamper-proof feeding funnel with connection flange for a dedusting plant provided by the customer. 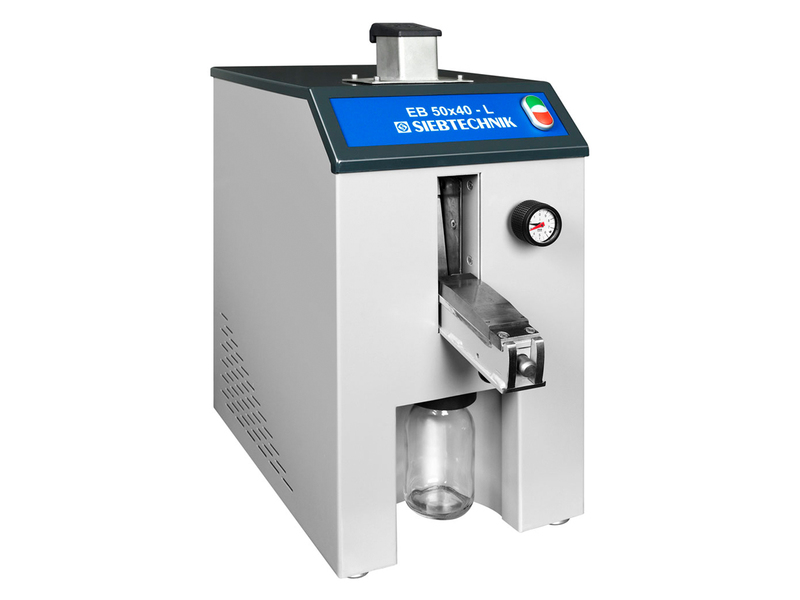 The laboratory version is designed as a ready-for-connection model with a control system integrated into the housing. This also contains a safety monitor for the sample collecting box. Crushing jaws are available in high-carbon steel casting, tungsten carbide, zirconium oxide or stainless steel.